Prosecutors seem prepared to indict Dr. Conrad Murray for second-degree murder in the death of Michael Jackson. But as The Daily Beast’s Gerald Posner reports, the case is far from ironclad. Plus, read Arlyn Imberman's analysis of Michael Jackson's handwrwiting. As reported first in The Daily Beast, other doctors, such as Jackson’s dermatologist, Arnold Klein, are under investigation in the broad death probe. 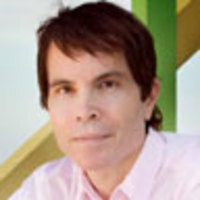 Just today, investigators disclosed that Klein once took Michael Jackson to the gynecological office adjoining his, and performed a minor acne treatment on the singer under full anesthesia, a procedure that the neighboring doctor, Harvey Richmond, found “odd.” Klein and several others have been served with subpoenas. But it’s Murray who is the prime suspect. Prosecutors need to show that Dr. Murray not only gave the singer a lethal dose of the powerful anesthesia Diprivan, but that he did not appreciate the danger to which he was subjecting Jackson, and then failed to properly care for him. If Dr. Murray was destroying evidence, as the police suggest, then why were “large amounts” of Diprivan reportedly found at the Jackson house not during the first search the day he died, but evidently only on the second search two days later? Police believe Murray may have given Diprivan to Jackson. Witnesses at the house saw Murray administer an unknown IV solution to Jackson in the singer’s bedroom. Murray didn’t get someone at the house to call 911 for half an hour after he discovered Jackson with a low pulse and nearly comatose, raising suspicions about whether he used that time to call associates in Houston to dispose of files and other incriminating evidence. A storage facility manager told reporters that several people to Murray’s rented storage unit showed up at 11:22 am, leaving in two cars with 3 to 5 boxes. That is one minute after a Jackson security guard in Los Angeles finally called 911. A search warrant authorizing seizure of documents at a storage locker in Houston says law enforcement was hunting for "items constituting evidence of the offense of manslaughter that tend to show that Dr. Conrad Murray committed the said criminal offense." At Murray’s Houston office, investigators also found pamphlets from a “Sleep Center," located near the Doctor’s Hospital from which Murray had been suspended (supposedly for not completing and submitting his patient records in a timely manner). Reports of his financial difficulties have made the rounds. Of course, it looks bad for Dr. Murray. But then all that’s been presented so far are police and prosecution leaks. The O.J. Simpson murder case also looked ironclad in the first weeks. The more important issues are still to be determined. If Dr. Murray was destroying evidence, as the police suggest, then why were “large amounts” of Diprivan reportedly found at the Jackson house not during the first search the day he died, but evidently only on the second search two days later? That second search was prompted from interviews investigators had with Dr. Murray. If he was trying to hide the evidence of the drug that killed his patient, why would he lead them to do another search for it? Moreover, why would he leave Diprivan at the house when he had two days to dispose of it? Dr. Murray was never held in custody and was free to move anywhere. Since the Diprivan was found late, it raises questions about the chain of custody of the evidence. Was it there the day Jackson died, or moved there later by someone who decided that Murray was the ideal fall guy for the singer’s death? There is no reason to believe that the Los Angeles coroner ordered any such test because during their early exams they had no idea that Diprivan might have played a role. The coroner’s office has refused to comment on whether Diprivan-specific tests were done on Jackson. So if the evidence is not a slam dunk, why bring murder charges? Prosecutors sometimes over-indict when they hope to settle the case on the charge they think is the correct one—in this case, manslaughter. Facing 15 years to life for second degree murder, Murray and his lawyers might be quite willing to accept a involuntary manslaughter plea that carries as little as two years. Murray’s lawyers fully expect that their client will be charged with a criminal offense in Jackson’s death. And if it’s the murder charge, it will garner major headlines. But anything short of a second degree murder indictment might indicate there are more problems in the police labs and the prosecutor’s office that they have so far let on to. Gerald Posner is The Daily Beast's chief investigative reporter. He's the award-winning author of 10 investigative nonfiction bestsellers, ranging from political assassinations, to Nazi war criminals, to 9/11, to terrorism. He lives in Miami Beach with his wife, the author Trisha Posner.